Mental health issues within elite sport: are we taking steps in the right direction? 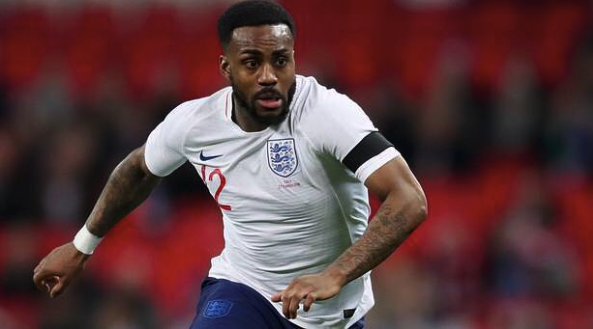 In the build-up to the World Cup Danny Rose was among the long line of professional athletes to describe their battles with mental illness in the main stream media (1). He talked openly about a variety of factors that led to and possibly precipitated an episode of depression, described treatment options he considered and those used with good effect. During a World Cup when pressures and stress can be at their highest, risk of mental illness increases. So what lessons can we learn? Thus far, the largest of the European studies into prevalence of common mental health disorders in professional soccer players was in 2015 (2). Gouttebarge et al sampled 540 individuals and estimated symptoms of anxiety or depression in up to 43 % of the studied population. Approximately 1/3 had sleep disturbance which has a significant knock on effect for those striving for maximal performance. Interestingly this was similar to NFL populations investigated by McDuff (3). The case of Danny Rose backs up that old adage that ‘fame and fortune’ does not protect individuals from mental stressors. Danny speaks of his mood first dipping following a serious knee injury. Some studies have pinpointed physical injury as being one of the most important risk factors for depression in athletes (4). A serious lower limb injury could prevent a player from having his usual interactions, adulation and exercise regime for 6 months or more. With this comes a change in role, identity and downtime for the athlete which in some cases has led to less healthy pursuits and knock on addiction issues. There is no recognised standard procedure for screening players following physical injury and identification for this largely relies on the intuition of an observant physiotherapist, given that they have regular interaction. Depression can have a serious impact on motivation to engage players following an injury- this is an on-going area of interest for Dr Misia Gervais (5). As with everything in medicine, prevention is better than cure and perhaps a brief psychological intervention with focus on psychoeducation, lifestyle advice, goal setting and expectation management in the early stages of injury could decrease and possibly prevent any mental health issues in the following arduous months. Environment is worth considering when broaching this topic. The England team entered the knock out phases (at the time of writing) appears much different from a psychological perspective than what we have seen previously. Gareth Southgate and his backroom team are widely accepted as being psychologically aware and make no apologies for this or indeed hide it. It is encouraging that the perception of ‘thinking about your thoughts’ as an area of weakness is being dispelled at the very highest level. At the heart of this has been the willingness to emphasise the core concept of a team and finding a unique identity for this squad of players and how they train and play. Their on-pitch body language is excellent from a ‘sporting shrinks’ point of view. Although this alone may not be enough for them to win the world cup, this form of insightfulness has been linked to player satisfaction (6) which will ultimately lead to increase in performance whether that be individually or collectively. I do not think it is any coincidence or a throw away comment for the English press that Danny Rose feels comfort in this team environment and it is not unreasonable to hypothesise that this has contributed (or contributes) to his recovery. In summary, complexity, prevalence and difficulties around mental health illness exists in elite athletes. Danny Roses’ story is not only touching but a great encouragement to patients/players and clinicians alike who jointly strive for mental wellbeing as we must treat the brain as any other muscle. Manroy Sahni @manroysahni is an Academic Foundation Year 1 Doctor in the West Midlands with a passion for SEM. He also co-coordinates the BJSM Undergraduate Perspective blog series. Please send your blog feedback and ideas to: manroysahni@gmail.com. Symptoms of Common Mental Disorders in Professional Football (Soccer) Across Five European Countries. Gouttebarge, Backx Et al. J Sports Sci Med. 2015 Dec; 14(4): 811–818. ISSP manual of Sports Psychiatry, Chapter 12(p149-161).